Modest, yet dynamic. 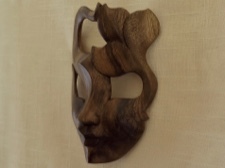 This elegantly handcarved mask of raintree wood is from Bali, land of the world renowned master carvers. 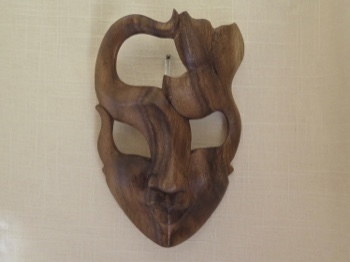 Every carving is a different creation displaying the varied markings of the piece of wood at hand. 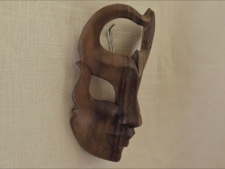 The smoothness of the finished product dictates deep love of technique and loving care of each mask. 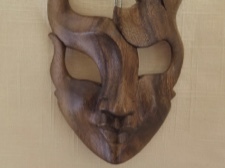 This mask measures 7 inches long and 5 inches wide.